A useful ‘spin-off’ from developing an FPA framework for analysing European foreign policy is that it provides a perspective from which to evaluate the effectiveness of FPA. If FPA provides, as it were, a ‘lens’ through which to analyse European foreign policy, that ‘lens’ can be repositioned to reflect back on FPA itself. 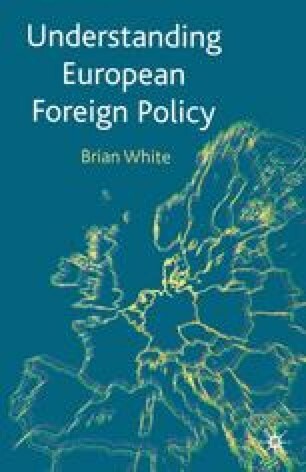 It was argued in Chapter 8 that the FPA approach used in this study has produced valuable insights into the nature of European foreign policy. But if we stand back a little from this study, we can see that the European case poses wider theoretical challenges to foreign policy analysts with implications that go beyond a European focus. This chapter draws extensively upon White, B. (1999) The European Challenge to Foreign Policy Analysis, European Journal of International Relations, 5(1): 37–66.